Aliso Viejo is one of the cities in Orange County with a really wide variety of condos that are relatively new ( built after 1989 or newer), with great advantages for families as it has many recreational amenities and parks - something that was guaranteed by the builders, and having really commuter advantages with the easy access to the Toll Road, as well as many top employers in Orange County having their headquarters here. For those looking for Aliso Viejo Condos, the advantages also include being within walking distance to many amenities as well as having many in site -as most of these Condominium complexes have within their HOA pools, barbeque areas and gardens. Search all Aliso Viejo Condos in the different neighborhoods below. You can redefine your search and narrow by price, location, bedrooms,etc. Read more about the Aliso Viejo Townhomes. Beautiful detached family home on quiet street in the Village Cottages gated community. High ceilings with plenty of windows and lots of natural light. Open concept floor plan, stainless steel appliances, upgraded kitchen cabinets, all stone countertops, completely re-piped. Double sided fireplace in living/family rooms. Cozy backyard with lush greenery, roses and citrus tree. Low HOA and No Mello Roos. Two owner home, never rented. Aliso Viejo has many condo complexes with the 'townhomes' configuration. The terms usually get a little troubled, for our home search terms, condos any home that shares a building with other units, and the townhomes are condos that don't have units above or below them. 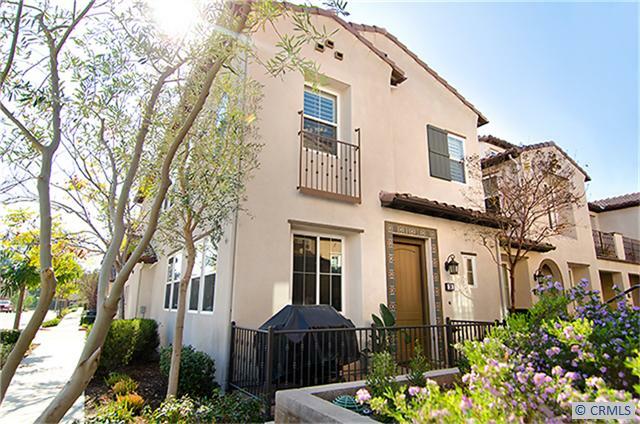 Aliso Viejo has a decent amout of both 'condos' and 'condos - townhomes'.